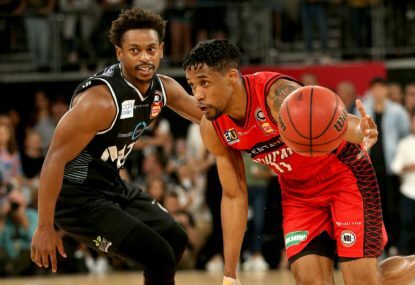 Perth Wildcats overcame a rare off night from Bryce Cotton to post a 81-71 win over Melbourne United in the grand final series opener on Friday night. United led by four points at half-time, but the Wildcats went on an 11-0 run to start the third quarter to set up the win in front of 12,490 fans at RAC Arena. Cotton, the league’s leading scorer, finished with just 10 points on 4-of-16 shooting from the field. He made none of his nine three-point attempts. Terrico White (19 points), Angus Brandt (14), Nick Kay (10), and Jesse Wagstaff (10) helped pick up the slack in an even team display. Game two of the best-of-five series will be played in Melbourne on Sunday. “I thought it was an outstanding second half,” Wildcats coach Trevor Gleeson said. “It was tough, play-off basketball. Physical. It was what you’d expect from a final. “We had some really good looks in the first half, and we just didn’t make them. United coach Dean Vickerman rued his side’s poor start to the second half, but was pleased with the shutdown job on Cotton. “I thought our plan on Cotton was solid, and we did a really good job,” Vickerman said. Both sides struggled to find their range in a wayward opening term, with the Wildcats heading to the break with a 14-13 edge. It was the lowest scoring opening term of the season. United big man Kennedy looked fragile at the free-throw line, missing all four of his attempts in the first quarter. But he was proving to be a powerhouse in the paint, with his eight points helping United open up a five-point lead during the second quarter. But with just three minutes left in the half Kennedy had to be helped off the court after copping a shoulder to the jaw when he cannoned into Angus Brandt’s screen. A late three pointer from sharpshooter Goulding gave United a 33-29 lead at half-time. But the shooting stats weren’t pretty from both sides. The Wildcats made just 2-of-14 three-point attempts, while United (3-of-14) fared only slightly better. Kennedy was able to return early in the third term, but he was powerless to stop a Wildcats onslaught as the home set up a match-winning lead. 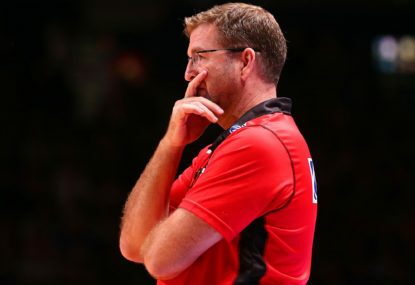 Perth Wildcats are just one win away from securing a record ninth NBL title after opening up a 2-1 lead over Melbourne in the grand final series. 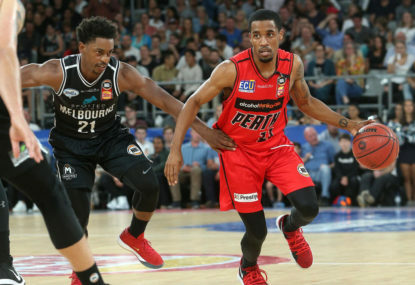 We are two games into the NBL grand final series and we aren’t too much wiser than we were coming into it, with the Perth Wildcats and Melbourne United both proving too good on their home floors with things locked at 1-1. They are the past two champions, they have separated themselves as clearly the best two teams this season, they have a fascinating and dramatic recent history and all signs are for one of the great NBL Grand Final series to come between the Perth Wildcats and Melbourne United. The two best teams from the NBL season won their semi-finals in convincing fashion, and will now fight it out over a five-game series for the ultimate prize. This is The Roar’s guide on how to watch and stream the NBL grand final series between the Perth Wildcats and Melbourne United.